Accelerated JD or LLM for International Lawyers? 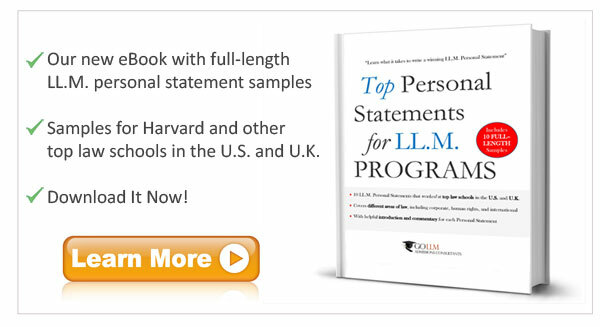 International lawyers intent on practicing in the United States generally opt to obtain an LL.M. from a U.S. law school. Given the time and cost, most foreign lawyers conclude that it would not be worthwhile for them to pursue a J.D. (Juris Doctor) − that is the basic U.S. law degree − which takes three years to complete. However, an emerging option for foreign educated attorneys is the accelerated J.D. for international lawyers. The accelerated J.D. allows candidates to gain a full J.D. degree in just two years instead of the traditional three. While some law schools offer accelerated or two-year J.D. programs to domestic students, these programs are increasingly being offered to lawyers with foreign law degrees as well. Northwestern Law, a top ranked U.S. law school, has been a pioneer in offering a two-year J.D. for International Lawyers. International lawyers applying to Northwestern’s accelerated J.D. program are required to submit an LSAT score, are expected to have work experience in business or law and must partake in an evaluative interview. Admitted students receive one year of credit for their foreign law degree. During their first year, students complete the entire required coursework for J.D. students and take elective courses during the second year. At the end of their studies and upon successful completion of the program, the international two-year J.D. students − who take their courses together with regular J.D. students − receive a regular J.D. degree from Northwestern Law School. Another school with an accelerated J.D. for international lawyers is the University of Arizona Law School. In addition to offering a two-year J.D. to candidates with non-U.S. law degrees, Arizona gives those students who hold both a non-U.S. law degree and an LL.M. from an ABA accredited law school the opportunity to earn a J.D. in three semesters. While the LSAT is not required as part of Arizona’s admissions process, the school reserves the right to request an LSAT score depending on individual considerations. Recognizing that the market for international students is different than the domestic market, Arizona has recently reduced the tuition and fees for students in its J.D. with Advanced Standing program from almost $43,000 to a flat $26,000 per year, which makes it – according to Professor Brent White, Arizona’s Associate Dean for Programs and Global Initiatives – the best value U.S. program of its kind for international students. Recently, SUNY Buffalo Law School in New York state began offering an accelerated J.D. program for foreign educated lawyers. Students from outside the United States who already hold a first law degree and achieve sufficient LSAT scores may be granted advanced standing for up to 30 credits in recognition of their prior studies. As a result, accelerated J.D. students may complete their J.D. in approximately two years. Buffalo’s program is particularly noteworthy for its focus on New York law, which is frequently used as the law that governs international business transactions worldwide. 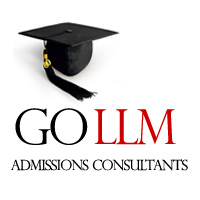 Foreign educated lawyers interested in obtaining an LL.M. degree should carefully consider whether the accelerated J.D. is the right option for them. Accelerated J.D. programs are suitable for those who are interested in permanently practicing in the U.S. or building an international practice in their home countries. These programs are also attractive given that students will be fully integrated into the regular J.D. class, which may not always be the case for LL.M. students. At the same time, accelerated J.D. candidates must be able to dedicate the extra time and effort needed to complete a two-year program as well as undertake the additional costs of this program, which can exceed double the costs of an LL.M. program. In addition, as part of the application process, students are required to take the Law School Admission Test (LSAT) and achieve a sufficiently high LSAT score. In short, the accelerated J.D. program for international lawyers is an attractive option that may suit the needs of many qualified foreign attorneys. These programs also can be a boon to law schools seeking to extend their offerings and attract new types of law students. Given the potential mutual benefits, it would come as no surprise if there is a surge in these programs in the future. Updates: Brooklyn Law School’s Board of Trustees has approved an accelerated 2-year J.D. program (beginning in summer 2014) that is also suitable for foreign trained lawyers. Also, The University of Akron School of Law now offers a 2-year J.D. program for students with a foreign law degree. The details of Akron’s international Juris Doctor program can be found here.